This year, I've really been diligent to glass the bur oak each day. 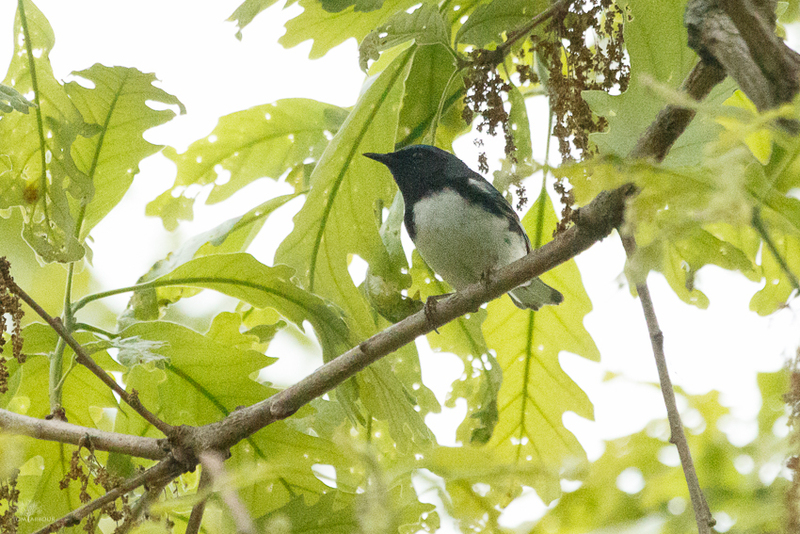 Earlier in the week, I saw a black-throated blue warbler, a first for the yard, during a quick morning scan. I had to get to the office though, and didn't have time to photograph it. Fortunately, later in the week, I had the opportunity to watch and photograph this wonderful warbler once again.